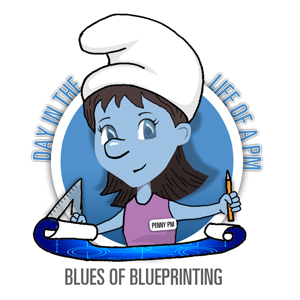 Penny PM talks about How to take the “Blues” out of Blueprinting by following a few easy steps. The Blueprint deliverable should be a collaborative representation of what your organizations believes the best design of the SAP HCM system should be to meet organizational, operational and regulatory business process requirements. Therefore, Blueprint sessions should include subject matter experts and project team members who will provide input through requirements definition, discussions, questionnaires and templates. Define the team and role of each person as part of the blueprint session. The team should represent your organization, be empowered to make decisions and entrusted to design business processes. The role of each person would be to consider your organizations needs today and tomorrow. The team should communicate concerns, validate all business processes have been considered and stay engaged in the process. 2. Define clear objectives for each workshop, such as: review detailed requirements, validate GAPS and issues, validate performance measurements, validate design and complete requirements traceability as defined in the project scope. In addition, objectives should be defined to support your organization’s Critical Success Factors, Organizational Impacts and Security Control requirements. At this point of the process, you have defined your team roles and responsibilities and clearly communicated goals and objectives; so what’s next…. The team will need to have a template, tools and a timeline they can work with to complete the blueprint successfully. 3. Define or create a Business Blueprint Template that will incorporate details for the required technical environment, business processes both As-Is and To-Be, reporting requirements, Interface requirements and other details to show the clarity of your design. 4. Define a timeline and communication plan for the Blueprint Phase that includes a timeline for workshops, blueprint documentation, status of the blueprint development and review process. These may be iterative to obtain all sign-offs required. 5. Define the SAP HCM Blueprint deliverables required to obtain sign-off by those designated as approvers. Approvers are generally key stakeholders, business process owners and project team members. The Deliverable should include To-Be or future state business process flows, the business blueprint design, a list of functional specifications to support the design and a requirements traceability matrix confirming scope of the project has been met. Helping our Business Stakeholders understand the importance of the following project management business processes will help to minimize the risk to both the project team and to the organization. Penny PM states, “As our AspireHR Quality guidelines outline, we must understand our business objectives as well as our technical objectives to be successful. As Smurfette quickly realized the Smurfs were her friends, the project team will quickly realize that a Blueprint with clear requirements, business processes and a technical design will help to takes the “blues” away. This entry was posted in Cup o' Joe, Day in the Life of a PM. Bookmark the permalink.